The prospect of editing a video can sometimes feel so daunting that it stops some makers before they even get started. In this episode of Movies for Makers, Zach and Jen build a basic understanding of video editing that will help you better understand the process, no matter what software or application you are using. Plus, they talk about sharing your videos online and answer live questions! Starting with the meat of your project. Cuts: Making them and covering them. Letting the story drive the visuals. How do I manage the large video media files? What about using a GoPro for aerial shots? How do I build the story I want to tell? 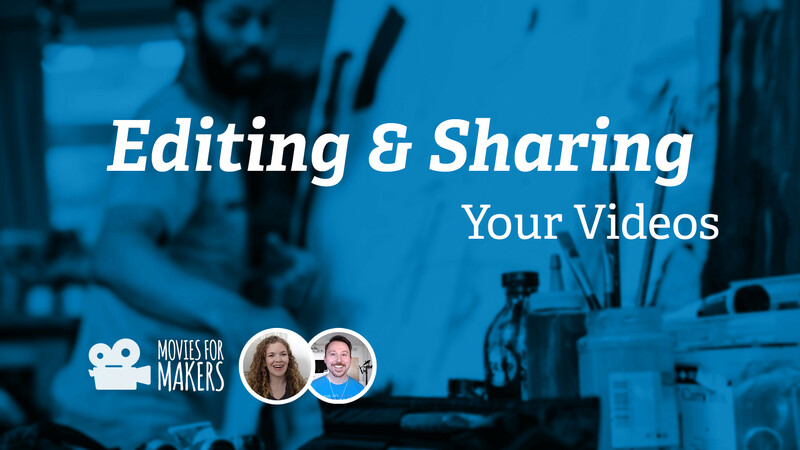 Episode #4: Editing and Sharing Your Videos // hey, this is the post you’re on!